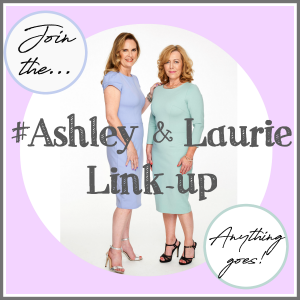 Are you ready for the Ashley and Laurie link-up? So what is it and how did it come to be? To answer that question I will have to take you back to May when I first met Laurie from ‘Vanity and Me style’ blog. 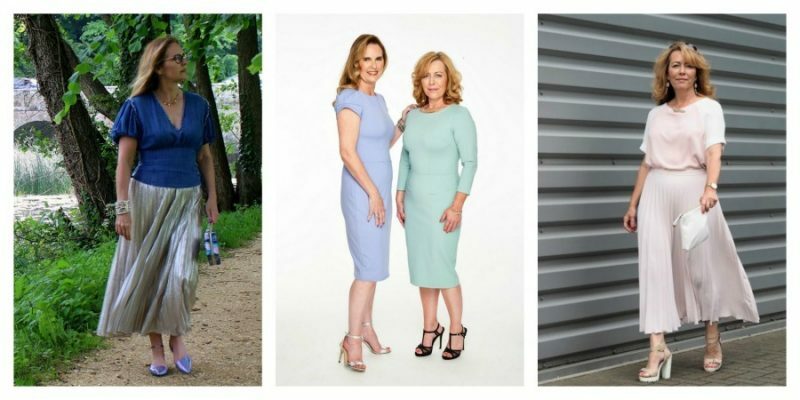 We were in London to have our photographs taken for the Sun Newspaper (now that’s a story that deserves a post of its own) We spent the day in a london Studio having our hair and makeup done with lots of laughter and plenty of chat in between shots. The pic above of the two of us, was taken at our request as a souvenir of our superb day. We have also both been a part of the 5 Over 50 outfit challenge, so plenty of reasons then to continue our conversations over the phone. During one of these conversations we talked about a collaboration and the ‘Ashley and Laurie Link-up’ was born. So will you join us for the #Ashley&LaurieLinkup ? Good luck with the new link up and yes, I’ve voted for you too my lovely! My computer seems to be a bit slow and won’t load the link up, but I’ll come back and try again later. Hi Anna, you gorgeous creature you! New link up tomorrow? might be easier to link up to? I really would love to meet you too, hopefully something can be arranged? Thanks for this opportunity- I’m such a newbie blogger so great to connect!! Thank you..not sure why but I find link ups too complicated normally. This was easy. Lovely pic of you both. Ps thanks for voting too! I know you mostly through the 50s series and IG. Good to get to know you as well. This is a first for me, (all the fashion bloggers do link ups I see) but its a whole new world for me! thank you for joining in, I mostly know you from instagram! What a nice collaboration! I look forward to visiting! Hi Lynda, thanks for visiting its great to have you join in! It’s nice to meet you, Ashley. I’ve been following Laurie’s blog for a while now and it’s always great to be introduced to other bloggers, especially those that live in another part of the world. Your link up seems to be off to a fine start and good luck on winning the award. Hi Ashley, so nice to take part in your lovely linkup! I’ve followed the stunning Laurie for some time now, and it’s always fun being introduced to new blogs/bloggers. Your keepsake photo with Laurie is gorgeous! What a great memento! Thanks so much for co-hosting. Looking forward to taking a closer look around your beautiful site. She is a stunner isn’t she? and such a lovely person too! Very nice to meet you Ashley! Hope you visit my Fancy Friday linkup too! Hi Nancy I will pop over tomorrow! sounds like fun! Well I think you have come to the right place? 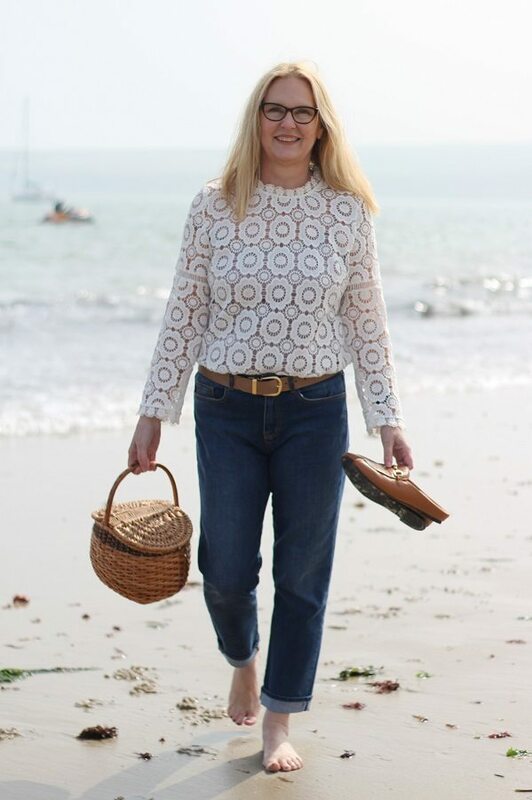 I will be 54 in a few weeks so I have had a little longer to work it out, thank you for joining the Link-up! Hi Ashley, lovely to meet you via Laurie. 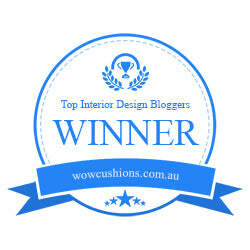 Laurie is one of my favourite bloggers too. I started blogging nearly 7 years ago as I tried a challenge called The Six Items Or Less and I read about this in The Sun, ha!! So in a round about way I have The Sun to thank for me starting a blog and recording my life. Your blog looks beautiful, I will take a look trough now and follow you on social media 🙂 Thanks for hosting. Thanks again, we liked these too but they belonged to the stylist who had to return them ! Hi Claire Wow thats a brilliant story, gotta love The Sun eh? I will seek you out and follow elsewhere online too! Congrats on your new link-up with Laurie!! So exciting!! LOVE your style!! Andrea hello! nice to ‘meet’ you yes it is exciting thank you and welcome! Ashley, what a fabulous link up and how exciting for you and Laurie! You both look stunning in that photo! I just voted for you and I wish you much luck! Thanks for the fun new link up and have a fabulous day! Hi Shelby, link-ups are very new to me but what fun they are I’ve already found so many new blogs so Im enjoying it today! Ps thank you for the vote it is very much appreciated!